After several years of deep recession, following the bail-out programme back in 2011 between the Portuguese government and the European Union, the European Central Bank and the International Monetary Fund, and despite a number of noteworthy international events that could have important repercussions on the international markets, the Portuguese economy registered a clear growth trend over the past year-and-a-half, and matters seem to have improved significantly in our jurisdiction. While the impact of such international events remains to be seen, the Portuguese corporate lending landscape has picked up during such period, and the number of lending transactions reflects the increase in consumer and company confidence level for years to come. The past year has also been marked by several key strategic developments within the Portuguese banking sector. In line with past years, the regulatory constraints stemming from the increase of capital requirements, the European Central Bank (ECB) directives, the application of state aid rules to state recapitalisation procedures and the lack of available domestic and private capital to invest in share capital, have paved the way for a clear tendency towards a high concentration of the credit institutions that remain active in the Portuguese market. This trajectory contrasts with the fact that foreign banks are becoming more active in the Portuguese market, through the establishment of new branches and on a free provision of services and establishments basis. With the application of a resolution measure to Banco Espírito Santo (BES) back in 2014, the main part of its assets, rights and liabilities were transferred to Novo Banco, SA (Novo Banco), a bridge bank set up by such resolution measure. The Bank of Portugal (BoP) has now completed the sale process of Novo Banco following the announcement in the first half of 2017 when a share purchase and subscription agreement relating to the share capital of Novo Banco was entered into between the Resolution Fund and Lone Star Fund. Also on the banking resolution front, attention is drawn to the application of another resolution measure to Banif, with the immediate sale of its assets and liabilities to Santander, following a decision by the BoP. The Banif resolution distinguished three separate lots within the former bank: the first corresponding to ongoing clientele and banking business, which was promptly sold to Santander; the second through the creation of a special entity named Oitante, comprising most of the real estate and non-core businesses, to manage asset disposals and to attempt to maximise liquidation proceeds; and the third having residual nature for equity, subordinated positions and related party entitlements to be paid if and when the proceeds so permit. Furthermore, relevant events also include Spanish bank CaixaBank’s takeover bid of BPI (it already being a major shareholder of BPI) and the acquisition by the Spanish bank Bankinter of Barclays’ retail, private and corporate banking, and life insurance segments, and the opening of its first branch in Portugal. Similarly, the also Spain-based WiZink Bank acquired the credit cards business belonging to Barclays Bank (which, in turn, previously belonged to Citibank), yet again showing that there is always appetite for a business in this segment. During this period, credit and financial institutions have continued their efforts to deleverage and to clear their balance sheets by selling loan portfolios or participations, in the context of not only syndicated loans, but also their internal restructuring processes. In fact, the significant amount of non-performing portfolios (NPL) currently on Portuguese banks’ balance sheets paves the way for important transactions for the acquisition of such portfolios. On the other hand, shadow and off-balance-sheet banking through private equity, asset managers and insurance companies also registered a relevant increase, calling upon the many market investors to pay attention to this particularly interest market segment. Among the most relevant corporate lending transactions we would highlight the financing of several shopping centres (Arrábida Shopping, NorteShopping and Style Outlets). We draw particular the attention to the regular usage of the bond issue method as an alternative to the traditional lending activity based on individual loan agreements. This method has the advantage of enabling a swifter transfer and secondary placement of creditor loan participations, without the need for contractual amendments and avoiding impacts on the comprehensive security packages existing in these transactions, as they are granted on day one in favour of the security agent acting on behalf of the noteholders, whomever they may be at a given moment in time. This more flexible framework also benefits from the appointment of a common representative (a trustee-like arrangement where the entity appointed for these tasks represents noteholders in the creation and also, when applicable, in the enforcement of the security package) and enjoys a non-withholding status on interest payments made to non-resident lenders or investors since it clears in the Portuguese domestic clearing system, Interbolsa. 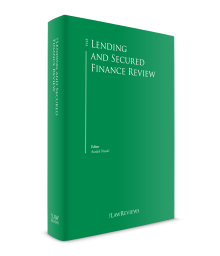 Usage of Loan Market Association terms is not that common within the Portuguese jurisdiction, but these are often used as a reference when drafting corporate lending agreements and security provisions, and the above-mentioned bond issuances have also accommodated this format. Finally, as regards new loan trends, and in addition to the improvements registered on debt capital markets, although peer-to-peer lending is yet to be more specifically regulated in Portugal, this solution for credit disintermediation can already be found on the Portuguese market, with the emergence of some platforms over the past year. Despite its relatively small weight in the lending market, at present the peer-to-peer lending market appears to be registering an upward growth trend, especially for small and medium-sized enterprises. However, future regulation and the possible resulting costs for operators may have an impact on the evolution of this new credit trend, which is gaining traction throughout several Member States and even made widely across the world. In any event, for the time being loan financing remains an activity highly concentrated in banks. The past year was marked by intense legislative developments (mostly for implementation of European directives and also for clarification of existing banking laws), with the entry into force of several important laws and regulations that have rendered the lending market ever more densely regulated. The legislative developments that had the strongest impact on the Portuguese lending market during the course of the past year are set forth below. As part of the implementation of the Basel III framework, adopted with adjustments at the European Union level through Directive No. 2013/36/EU of 26 June 2013 and Commission Regulation (EC) No. 575/2013 of 26 June 2013,2 capital buffer provisions were implemented in Portugal at the end of 2014 by adding a new Title to the Portuguese Banking Law (the Banking Law). These capital buffers accrue to other capital requirements, and need to be met with highest quality capital. The first capital buffer foreseen therein is the capital conservation buffer, set forth for general preventive purposes and corresponding to 2.5 per cent of the total risk exposure amount, on an individual and consolidated basis, as applicable. Under said legal framework, institutions failing to fulfil capital buffers must submit a capital conservation plan to the BoP. Although there was legal leeway for a longer transitional period, the BoP decided, under the terms of Notice 1/2015 of 7 September, to anticipate its entry into force, to the beginning of January 2016, to promote the strengthening of solvency levels and the higher resilience of the financial system. However bearing in mind, on the one hand, that in the current context of the single supervisory mechanism the capital decisions related to credit companies are prelaunched and adopted for the whole euro area and, on the other hand, that any capitalisation operations arising from such decisions must be essentially made resorting to the market, Notice No. 1/2015 was recently revoked by Notice No. 6/2016, of 31 May 2016. Consequently, according to Notice No. 6/2016, the transitional regime established by Article 23, Nos. 1 to 4, of Decree-Law No. 157/2014 of 24 October, is applicable for capital conservation and countercyclical buffers, from 1 January 2016 to 31 December 2018, and, therefore, phasing-in details are: (1) for capital conservation buffer: 0.625 per cent in 2016, 1.25 per cent in 2017 and 1.875 per cent in 2018; and (2) for countercyclical buffer: a maximum 0.625 per cent in 2016, a maximum 1.25 per cent in 2017 and a maximum 1.875 per cent in 2018. The recent past has also seen noteworthy developments concerning the application of negative interest rates within both the consumer and the corporate lending markets. In March 2015, the BoP issued guideline No. 26/2015/DSC, addressing the impact of negative Euribor rates on existing finance agreements where the interest rate is calculated based on Euribor (the CL 26/2015). The CL 26/2015 establishes that: (1) in the case of existing financing agreements that do not include a specific clause addressing a negative Euribor scenario, credit institutions shall not construe any clause as implicitly entitling them to limit the effects of negative Euribor rates; (2) in the case of agreements entered into after that date, credit institutions are prohibited from introducing any floors in agreements with clients, with a view to limiting the effects of negative Euribor in the contractual interest rate; (3) nonetheless, credit institutions and their respective counterparties under the agreements are allowed to take certain (not defined in detail) precautionary measures to manage the risk of negative Euribor. Attention is drawn to the fact that despite the non-mandatory nature of BoP guidelines, they are generally followed by all regulated credit and financial entities, including in relation to all credit and financing agreements with consumers or other banking customers, such as mortgage loans, financial leasing and factoring, and are also likely to influence the decisions of courts. Both legislative procedures for draft legal bills on: (1) prohibiting credit institutions from unilaterally amending the contractual terms or interest rates of financing agreements and deposits; and (2) compelling credit institutions to fully apply overall negative interest rates with respect to housing and consumer credit were halted following declarations by the BoP’s governor against the aforementioned draft legal bills and recommending the adoption of legislation mandatorily setting out a zero interest rate floor. A new draft legal bill aimed at clarifying this legal matter is still pending, so this issue will continue to be in the spotlight, and the next couple of months will be crucial in determining how this legislative process will unfold, but it now seems to be more likely that the zero interest rate floor will hold, save for having credits where the prospects are exactly the other way round. Directive No. 2013/50/EU on the harmonisation of transparency requirements in relation to information about issuers whose securities are admitted to trading on a regulated market (the Transparency Law) was implemented into Portuguese law by Decree-Law No. 22/2016 of 3 June. With the enactment of the Transparency Law, several amendments were made to the Securities Code with the aim of introducing greater flexibility. Among its key features, we would highlight the following: (1) overall loosening of language requirement rules, thereby allowing for a greater margin of acceptance of the English language; (2) elimination of the quarterly information disclosure requirement, with the exception of financial companies; (3) economic long positions become part of qualified shareholdings; and (4) regarding public offers, the previous reference to 150 targeted residents in Portugal was replaced by 150 residents per Member State. Following the approval of Directive (EU) 2015/849 of the European Parliament and of the Council of 20 May 2015, Portugal has recently enacted Law No. 15/2017, of 3 May, which prohibits the issuance of bearer securities. With the entry into force of this law, several articles of the Portuguese Companies Code and the Portuguese Securities Code that regulate bearer securities have been amended. With the approval of the above-mentioned Law, whose fundamental aim consists of enhancing transparency and, thereby, contributing to preventing money laundering or terrorist financing activities, it will no longer be possible to issue bearer securities in Portugal, while existing bearer securities will need to be converted into nominal securities within a six-month deadline of the entry into force of this law. Failure to convert bearer securities into nominal securities during the prescribed period will determine the application, as from 4 November 2017, of a transfer prohibition, as well as of the suspension of the right to dividends, in the case of shares, and interest, in the case of bonds. Furthermore, a decree-law has also been approved with regard to this prohibition, with the objective of ensuring the articulation between Law No. 15/2017 and the legislation specifically applicable to public debt, allowing for the continuity of issues under the General Public Debt Issuance and Management Regime. A bill regulating the activity of credit intermediation and the provision of consultancy services in the scope of credit agreements has been approved by the Portuguese parliament. This bill implements Directive 2014/17/EU of the European Parliament and of the Council of 4 February and authorises the government to approve a legal framework applicable to the activity of credit intermediaries and the provision to consumers of consultancy services in the field of credit agreements. Such legal framework shall include rules on access and exercise of such activity, which will also include probity and qualifications control rules and its sanctions framework. Decree-Law No. 74-A/2017, of 23 June 2017, approved the legal framework on credit agreements for consumers relating to immovable property, establishing in particular the rules applicable to consumer credit guaranteed by mortgage or another right over immovable property, partially transposing Directive 2014/17/EU of the European Parliament and of the Council of 4 February 2014 on credit agreements for consumers relating to residential immovable property and amending the regime on credit agreements for consumers (Decree-Law No. 133/2009, of 2 June 2009). Despite the fact that Directive 2014/17/EU regulates credit agreements that solely or predominantly relate to residential immovable property, Decree-Law No. 74-A/2017 also regulates credit secured by immovable property regardless of the residential purpose of the credit and consolidates in a single legislative act the various rights granted to consumers in the field of mortgage credit. The new regime strengthens the provisions relating to the assessment of the consumer’s ability to repay the secured credit (in comparison with other types of consumer credit), as well as the assurances that the consumer is able to make a rational and informed decision on the characteristics of the credit to be executed. In addition, considering the frequency with which the Portuguese mortgage market uses personal guarantees, this protection also extends to the consumer who acts as personal guarantor – and who also makes a financial commitment. Given the importance of the transaction, it is ensured that consumers have sufficient time to consider the implications of contracting credit or granting personal guarantees. The National Council of Financial Supervisors has launched a public consultation on a preliminary draft for the implementation of Directive 2014/65/EU of the European Parliament and of the Council of 15 May 2014 on markets in financial instruments (MiFID II) and the implementation of Regulation (EU) No. 600/2014 of the European Parliament and of the Council of 15 May 2014 on markets in financial instruments (MiFID), amending, inter alia, the Portuguese Securities Code and the Legal Framework of Credit Institutions and Financial Companies. In this context, it should be noted that the preliminary draft limits the list of instruments considered as non-complex for purposes of the ‘mere execution’ of orders established in Article 314-D of the Portuguese Securities Code and stipulates that, for the purpose of benefiting from the ‘mere execution’ regime, the exclusive provision of services of reception and transmission or execution of customer orders cannot be accompanied by the provision of an associate service of credit concession to support transactions in financial instruments, without prejudice to certain credit facilities granted for other purposes that are not tantamount to carrying out of financial instrument transactions. In Portugal, two different but complementary taxes with an impact on loan transactions are to be mentioned and properly considered: (1) withholding of tax on interest payments; and (2) stamp duty on loans, guarantees and, when applicable, also on interests and financial commissions. Payments of interest made by Portuguese tax-resident entities to non-resident entities are, as a general rule, subject to a final Portuguese withholding tax rate of 25 per cent, which may be reduced to as low as 5 per cent depending on the applicable double tax treaty (DTT) signed between Portugal and the other relevant contracting state. As an exception, the DTT between Portugal and the United States provides for a full withholding relief on long-term loans (of five or more years) when granted by US-resident banks or financial institutions, and when other formalities are complied with. Other withholding tax exemptions arise from European and domestic tax legislation. Related companies within EU countries, when the other legal requirements and formalities are met, will also benefit from the Portuguese withholding tax exemption under the Interest and Royalties Directive. When the lender is a non-resident bank or financial institution, specific withholding tax exemptions are available, such as: (1) interest payments on loans made by Portuguese-resident credit institutions; and (2) interest derived from long-term deposits in Portugal when paid to non-resident credit institutions. Regarding payments of interest by resident entities, the aforementioned general rate also applies except when the beneficiaries are Portuguese financial institutions. In this regard, the European Court of Justice (the Brisal case – C-18/15) has stated that there is a discriminatory tax treatment regarding payments of interest made by Portuguese corporate entities (not qualified as financial institutions) to non-resident financial institutions (subject to Portuguese withholding tax) when compared with resident ones (withholding tax waiver applies) under EU law. It is expected there will be an amendment to the Portuguese tax law in order to reflect such Court decision. Apart from classic loans, interest payments made by Portuguese issuers to non-resident investors regarding bonds and securitisation transactions (when integrated in Interbolsa, Clearstream or Euroclear) will also be exempt from income tax under the requirements set forth in Decree Law 193/2005, of 7 November 2005, as amended. As a general rule, interest payments on any sort of funding are tax-deductible. Portugal created an interest restriction rule to limit the deductibility of net financial expenses to the higher of the following: (1) €1 million, or (2) 30 per cent of the earnings before interest, taxes, depreciation and amortisation. Net financial costs that are not deductible in any fiscal year, as a result of the limits just detailed, may be carried forward for a period of five fiscal years, as long as the established limits are complied with. When the current net financial expenses in a year are below the barrier pursuant to the 30 per cent rule, the difference can be carried forward and added to the 30 per cent limit for the purpose of deducting net financial expenses in the following five fiscal years. Among other entities, entities subject to the supervision of the BoP (the Portuguese central bank), to the Portuguese Insurance and Pension Funds Supervisory Authority and branches of foreign financial institutions and insurance companies located in Portugal are beyond the scope of the rule. In any case, transfer pricing rules need to be observed between related parties otherwise interest may not be fully tax-deductible. The stamp tax rate on loans and guarantees is 0.04 per cent per month or fraction on transactions with a maturity of less than 12 months or represents a lump sum payment of 0.5 per cent on transactions with a maturity of between one and five years. This rate is even increased to 0.6 per cent on transactions with maturity in excess of five years. The tax is levied on the amount of the loan granted and on the secured obligations amount.3 Current accounts or overdrafts are subject to 0.04 per cent tax rate on the monthly average of the total daily debtor balances, during the month, divided by 30. Interest and commissions payments are subject to a 4 per cent stamp tax over the amount paid only when charged by financial institutions. However, no stamp tax shall be payable in Portugal on loan transactions and on related interest, commissions payments and guarantees granted between financial institutions provided they are not domiciled in a blacklisted jurisdiction. On the other hand, stamp tax will not be applicable at all in connection with the issue or distribution of debt securities (either bonds or securitisations) and on related interest payments. In August 2015, Portugal and the United States signed an intergovernmental agreement (IGA Model 1A), to implement Foreign Account Tax Compliance Act (FATCA). The IGA between Portugal and the United States is currently in force. Furthermore, domestic complementary legislation and specific reporting forms have been created in this respect. FATCA has been excluded from gross-up clauses on facilities namely on cases where the borrower has a financial account in a non FATCA compliant financial institution. Based on FATCA, the Organisation for Economic Co-operation and Development (OECD) created the Common Reporting Standard (CRS), according to which jurisdictions obtain information on financial accounts and income (including on interest) from their financial institutions, which will be automatically exchanged with other jurisdictions on an annual basis. Therefore, Portuguese financial institutions initiated the reporting in 2017 regarding the 2016 tax period where such information is exchanged with other jurisdictions. The period for reporting information (FATCA and CRS) ends on 31 July of each year (regarding information of the previous year). Financing operations governed by Portuguese law are very often secured by guarantees over the assets of the debtor or of third parties to the benefit of the creditor. Such guarantees are usually divided into the following two main groups: (1) personal guarantees, which entitle the beneficiary, in the event of default of an obligation, to be paid from the assets of third parties further to the assets of the debtor; or (2) security interests, which entitle the beneficiary to be paid from the value or revenues of certain and specified property or assets of the debtor or third parties. Security is provided over different types of assets, in particular over real estate, shares, tangible movable property, financial instruments, contractual rights and intellectual property rights. Pledges and mortgages (in rem rights created over movable and immovable assets respectively) remain the most commonly created security interests within the corporate lending market. Attention is drawn to the advantages of applying the financial pledge legal framework, which has the key feature of not requiring judicial enforcement, thereby conferring the right to unilaterally perform out-of-court enforcement, which the pledgor cannot oppose. However, the enforcement of a financial pledge may require the granting of an irrevocable power of attorney subject to public deed, which constitutes a very effective mechanism to ensure compliance and full execution by the pledgor of its obligations. Additionally, a financial pledge, in contrast to an ordinary pledge, allows the pledgee to retain the pledged assets in a foreclosure scenario, when the security is enforced. Applicable regulatory requirements (notably, registration or authorisation) are usually complied with by the security provider and not by its eventual beneficiary, unless expressly provided otherwise by the parties to a security agreement. While registration involves some costs, the biggest costs for registering a security will stem from stamp duty payment, levied over the secured amount. And, while perfection requirements may apply so as to ensure their valid creation, no action is required to reserve the validity of security interests, which shall remain valid until the secured obligations have been discharged in full. Several asset types present greater challenges in creating effective security, and this is the case with receivables. Although the constitution of a security over a receivable does not require the periodic production of lists of receivables subject to the pledge, it is highly advisable to take this with a view to ensuring ongoing monitoring of the outstanding receivables, thereby raising the costs of its maintenance. Security creation over inventory and movables will present similar challenges. Special formalities will apply in the case of vehicles subject to mandatory registration – such as boats and aircraft – as well as to land and buildings, as the creation of mortgage over such assets will be required. Among the limits applicable under Portuguese law to the creation of security we would highlight the general principle according to which security must be created over identifiable assets. Accordingly, the constitution of a floating security is not accepted. This principle is applicable to security interests and not to personal guarantees. Furthermore, while it is possible to create a promise to pledge, or a pledge aimed at securing conditional or future obligations, pledges of future property may not be created, seeing as this requires prior ownership over the asset in question. The establishment of contractual restrictions, such as negative pledge undertakings or assignment restrictions, is usually demanded by creditors when entering into security agreements, so as to safeguard the asset given as security. Security interests (such as pledges and mortgages) will be ranked, taking into account the priority of their creation or registration (i.e., their creation date), whereas personal guarantees are generally not subject to ranking. The same asset may be encumbered to the benefit of several lenders, enjoying a credit entitlement deriving from the same source (in which case, they can be ranked or positioned pari passu), or from different sources (in which case, one will be subordinated to others, unless otherwise agreed with the legally prior-ranking creditors). In Portugal, the practice of issuing legal opinions is aligned with that of other jurisdictions. In a nutshell, the legal opinion dynamic varies slightly depending on the dimension of the transaction at issue. In fact, whereas in larger transactions, namely bond issuance transactions, the arranger and the issuer will each require a specific legal opinion from their own legal counsel, in the case of classic corporate lending transactions, only one legal opinion is generally issued, by the lender’s legal counsel. In any case, in both scenarios such legal opinions are expected to specifically address matters concerning the capacity of the companies entering into the relevant agreement and its enforceability before the Portuguese courts. The disclosure of a legal opinion is almost always restricted to the counsel’s client. Some of the main issues lenders typically need to be made aware of, and which are particularly relevant in the context of acquisition financing transactions or group-wide financing transactions, are outlined below. Portuguese corporate law sets forth a corporate benefit requirement for the creation of personal guarantees or of security interests regarding the debt of third companies. Indeed, the creation by any given company of such a security or guarantee to the benefit of third companies will only be admitted if this action is performed in the justified own interest of that given company, or if it is provided to secure a debt incurred by a separate company with which the aforementioned company has a control or group relationship. Compliance with the corporate benefit rule requires a certain degree of factual and circumstantial analysis, and, therefore, a case-by-case approach to this specific topic is highly advisable. For there to be adequate corporate benefit, several elements should be taken into consideration, such as the group structure and the nature of the operation at issue, but its fulfilment is generally not difficult to establish in the context of downstream or upstream group guarantees, as such cases will benefit from the exception applicable to guarantees provided to a company with which it has a control or group relationship. Should there be any doubt as to the presence of adequate corporate benefit, seeking its shareholders’ approval (preferably before the transaction is entered into, or even afterwards, with a view to ratifying the security creation) will certainly contribute to strengthening the security provider’s position. For this reason, the demand for a corporate resolution represents a very common condition precedent in the Portuguese jurisdiction within the scope of lending transactions. Under Portuguese law, companies are prohibited from providing loans, funds or security to a third party with a view to the purchase of company shares representing its share capital. Nonetheless, while this financial assistance prohibition is clear in relation to the acquisition of shares, it does not apply to the acquisition of debt instruments or liabilities of said company. Despite the fact that there is some debate as to the application of this prohibition to limited companies, it is widely accepted that the rule is targeted at share companies and should only be considered in relation to these companies. On the other hand, the financial assistance prohibition is not expressly targeted at the specific case of the grant of security or the provision of guarantees by subsidiaries for the acquisition of the parent company shares. In fact, despite the extension of the special own shares regime to subsidiaries, the extension is far from clear as regards the financial assistance provision. In any event, the Portuguese Companies Code has not yet been modified in light of Directive 2012/30/EU, which softened the financial assistance legal framework, including consideration of the aggregate financial assistance granted to third parties in the scope of financial assistance provided by subsidiaries, but this is naturally an interpretative element that should be considered in this regard. Clawback rules (actio pauliana) allow for the challenging of transactions that involve acts liable to be qualified as detrimental to the insolvency estate and that were motivated by bad faith. Creditors have the option, when confronted with such acts, of challenging the transaction in the scope of insolvency proceedings. The relevant acts for this purpose are those that diminish, frustrate, aggravate, put in danger or delay the rights of the debtor’s creditors, thereby contributing towards the depletion of the insolvency estate. Clawback rules allow the insolvency administrator to challenge acts or agreements considered detrimental to the insolvency estate, and that were executed within the two years preceding the commencement date of the relevant insolvency proceedings by sending notice to that effect to the counterparty to the agreement. Bad faith, which must be established to apply this provision, is presumed in relation to acts taking place two years prior to the commencement of insolvency proceedings and in which the third party participated, or if the act resulted in a benefit to a person or entity especially connected to the insolvent company, even if a special relationship did not exist on the date of the act at issue. Bad faith is defined as knowledge of any of the following circumstances: (1) the debtor’s insolvency (i.e., inability to fulfil its obligations as they fell due); (2) that the act was of a detrimental nature and that the debtor was in a situation of imminent insolvency; or (3) that insolvency proceedings had already commenced. Certain acts and transactions are deemed to be detrimental to the insolvency estate without the need for any additional proof; for example, where: (1) security has been granted within a period of six months prior to the commencement of corporate insolvency proceedings (where the security was granted in respect of pre-existing obligations); or (2) gratuitous acts performed less than two years before the commencement of the corporate insolvency proceedings, resulting in a reduction in the assets of the debtor. Syndication remains widely used by lenders seeking to reduce their exposure in the context of a loan. In this context, lenders typically trade their participations using a contractual position assignment, credits assignment or subrogation. All rights and obligations are transferred with the perfection of an assignment of contractual position, which remains the most common and straightforward method to trade a participation within a syndicated loan. Moreover, while contractual position assignment generally requires the consent of the other party, syndicated loan agreements usually establish that the lender’s contractual position may be freely transferred without the need for the borrower’s consent. In any event, no specific formalities are required to effect the assignment, and although notification to the borrower is not mandatory, it bears relevance for enforcement purposes. Security is usually constituted to the benefit of a security agent, appointed by the lending syndicate precisely so as to avoid the need for additional formalities (namely with regards to registration) following the assignment of contractual position by a member of the lending syndicate. The assignment of credits is used as an alternative method, particularly in cases where an assignment of contractual position would have an impact on security arrangements. However, this method does not entail the transfer of the lender’s rights and obligations in relation to the borrower under the relevant syndicated loan agreement to the acquiring entity. The recovery and more stable development registered by the Portuguese economy over recent years, in the context of a stable EU macroeconomic scenario, could suggest a favourable outlook for the corporate lending market over the coming years. The past years have seen several non-performing portfolios sales transactions, as Portuguese banks shifted from having wide balance sheets and positively went on a diet to focus on their core businesses. Furthermore, the improvement of the economic environment has been coupled with political stability as the current left-wing government fared much better than preliminary expectations. There is naturally an impact of the political landscape as international developments unfold, namely in the wider European context, in light of the agreement forged in Brexit negotiations. 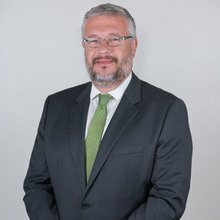 Inevitably we have to accept that political developments will have a significant effect on the corporate lending market, and ascertaining just what political contexts we will be facing – and which of those we may cope with and which will require other types of responses – looks like becoming our biggest challenge. From an economic perspective, the persistence of low interest rates will almost certainly continue to bear on the lending market, allowing for continued borrowing at favourable rates. Nonetheless, the real question in prospect is in ascertaining whether lenders willing to lend in these conditions will be found, and if not, what alternative locations lenders will find to ensure returns and a proper margin to stay profitable. That said, the growing competition registered in the banking sector, the inevitable concentration of the market following the break-up of several competitors, by resolution and acquisition by other players, and the increasingly demanding capital and liquidity requirements have certainly been at the very centre of the important reorganisation processes Portuguese banks have had to undergo, are currently undergoing and will have to continue undergoing. During the upcoming year, no significant legislative developments are expected to have a major impact on the Portuguese lending market and the legislative front seems now to be rather stable following so many developments and evolutions that have been implemented in recent years. Nevertheless, the development of new sources of financing (as an alternative to classic bank lending) – using debt capital markets, or even like those taking advantage of the recent development of a legal framework for crowdfunding, as well as the possible future development of a similar framework for peer-to-peer lending – and the growing importance of these alternative sources is expected to remain of legislative concern in the near future. There is, however, a clear certainty in this outlook: the ability of Portuguese credit and finance institutions to adapt to an ever denser and ever more demanding legislative and regulatory setting (particularly in light of the origin of such developments at EU and ECB level), and to adapt to increasingly demanding capital and liquidity requirements, will surely have an impact on their future prospects and on the evolution of the lending and secured finance market. 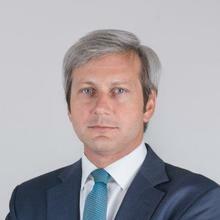 1 Pedro Cassiano Santos is a partner and Ricardo Seabra Moura is a managing associate at Vieira de Almeida. 2 CRD IV and CRR, respectively (the Capital Requirements Directive and Regulation). 3 No stamp tax will be levied on guarantees and security interests that are deemed materially accessory and are granted simultaneously to any obligations that were effectively subject to stamp tax.